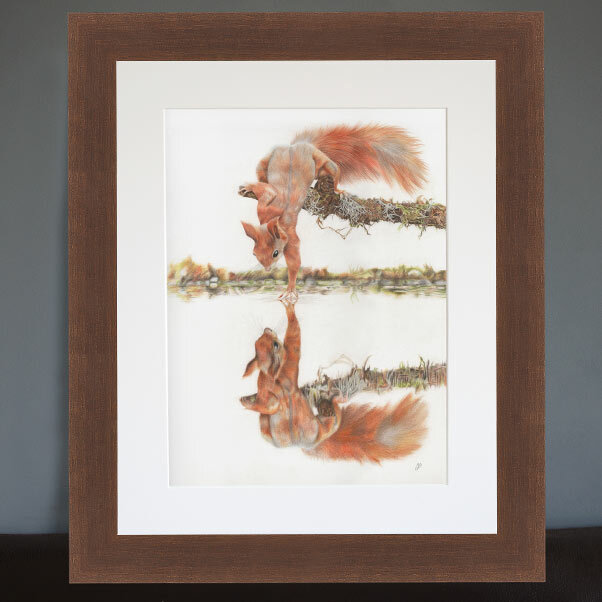 I am pleased to introduce to you ‘Touching the Looking Glass’. 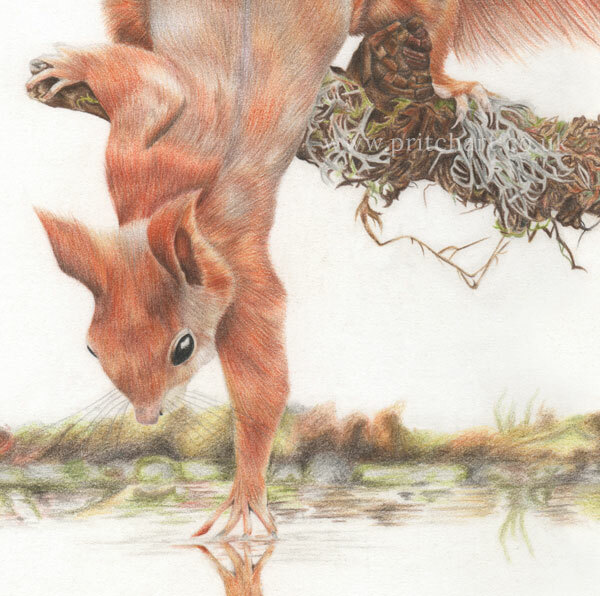 Red Squirrels are very shy but inquisitive creatures and it was a delight to draw the moment this red sees its own reflection. 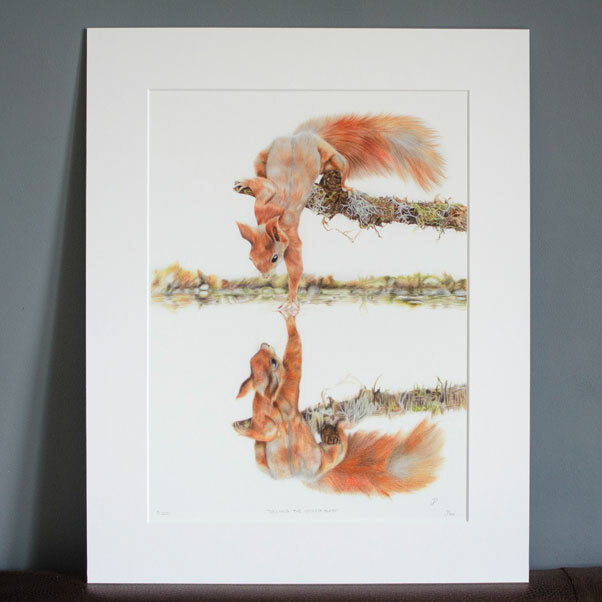 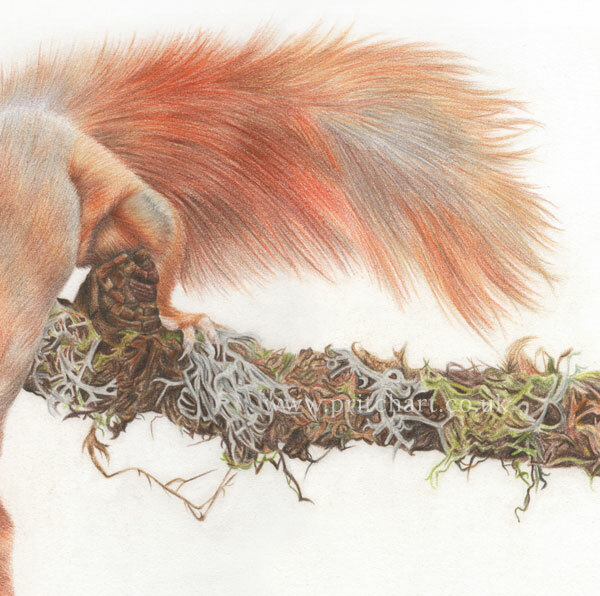 They are a species very close to my heart so I am donating 10% from each print sold to Red Squirrels Northern England who are helping the Red Squirrel population regrow. 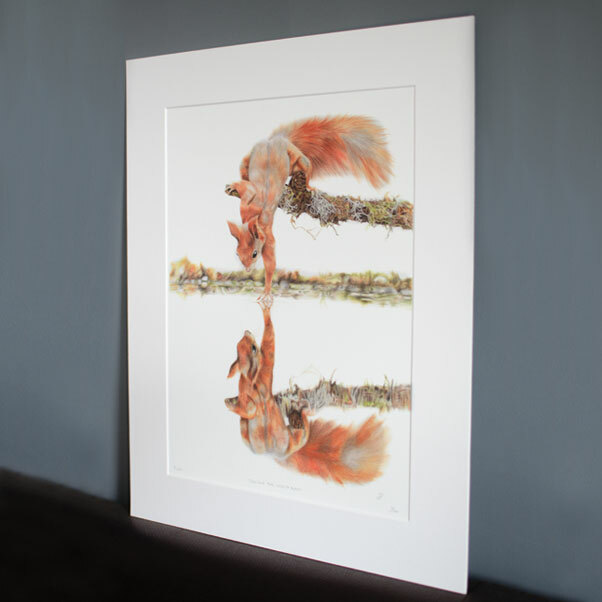 A4 mounted prints will be backed and ready to place into a 12x15 inch frame. 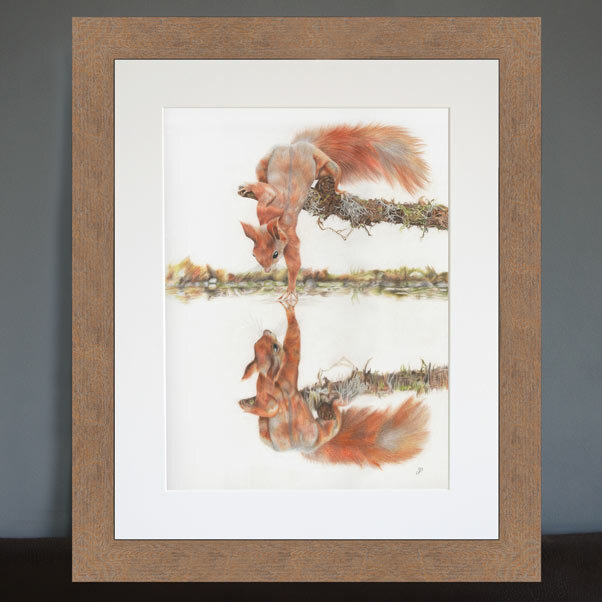 A3 mounted prints will be backed and ready to place into a 16x20 inch frame. 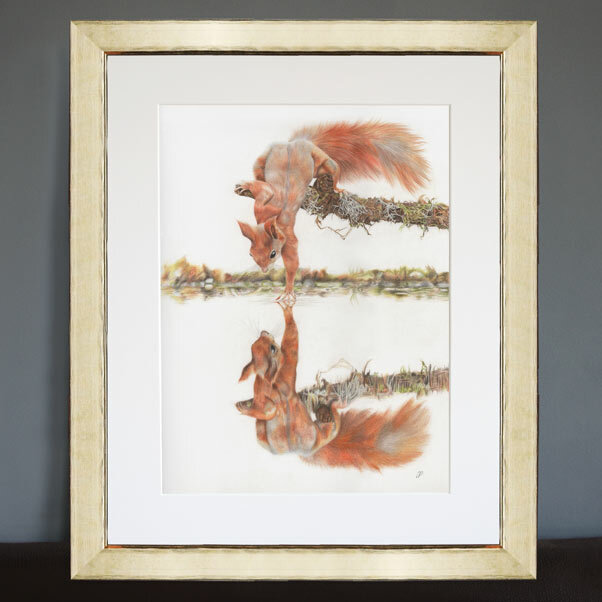 Framed prints will be sent ready to hang straight onto your wall. 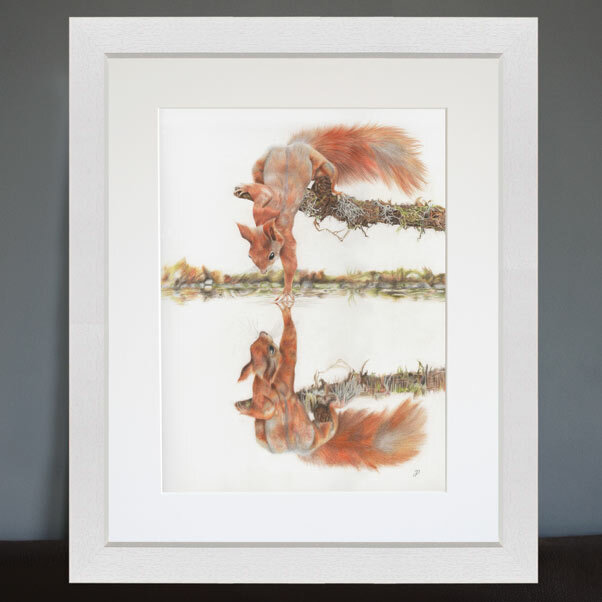 *Please allow up to two weeks to receive a framed print as frames are made to order. 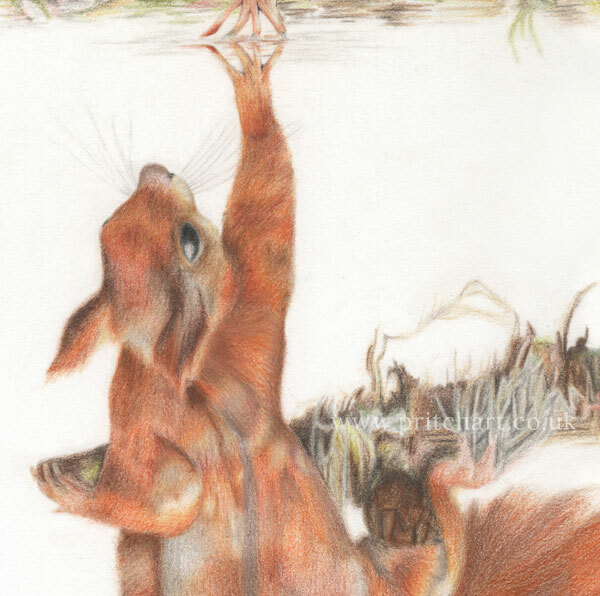 Each print will be numbered, hand signed and also come with a certificate of authenticity. 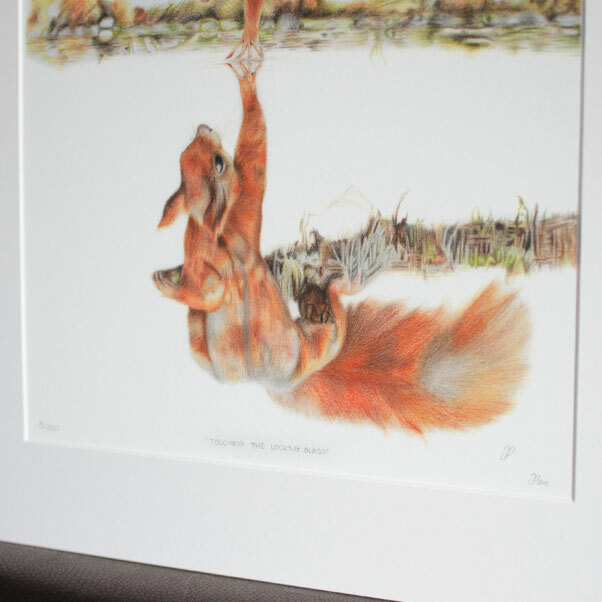 This is a limited edition run of 80 A4 size prints and 120 A3 size prints.